Home ⁄ Posts tagged "The High Performance Handbook"
If you had to ask me what the single most important factor that makes or breaks someone's strength and conditioning success, I'd immediately answer, "Consistency." The ones who show up and put in the work are the most adherent to the programs, and they develop a host of habits conducive to long-term success. Nobody can really argue with that. If consistency, then, is a huge goal in any training plan, then what are the objectives that underlay it? A motivating training environment is obviously important. If you've got good people and energy in your culture, people will want to be consistent. Novelty is something that inspires other people. People get excited when they experience something new, so subtle or not-so-subtle adjustments to the training program or environment can make a big difference for folks who need an extra boost for consistent attendance. Progress is big as well. We like to do what we're good at doing - so when you're quantitatively aware of the progress you're making, it feeds back into the motivation that drives consistency. These are all no-brainers, and I'm sure we could go on and list more key factors influencing consistency. However, one factor that is definitely overlooked is versatile programming. In other words, you have to be able to modify things on the fly when life gets in the way. Maybe it's tinkering with training frequency/scheduling before a family vacation, shortening a training session when a young athlete is exhausted during final exams, or modifying exercise selection to work around a broken toe. The best programs are the versatile ones - and the best coaches are the ones who understand how to tinker on the fly as needed. If your program and coaching philosophy are too rigid to accommodate these necessary adjustments, consistency will definitely suffer. What happens, however, when you don't have a coach overseeing your training? How do you make these adjustments? First - and most obviously - you have to be honest with yourself on how you feel. This is certainly easier said than done, but in my experience, making correct choices on the most obvious decisions is the difference maker for most individuals. For instance, if your nose is running, head is throbbing, and every joint in your body aches, it's probably a much better idea to go home and sleep off the flu than it is to try to plow through a heavy deadlift training session. Most situations aren't this black and white, though. Usually, the tougher decisions are when to push for PRs, add/subtract sets, or make exercise modifications on the fly. "Feel" in this regard comes with experience, and it's usually constantly evolving as you get older and more highly trained. Second, seek out mentors and training partners to help you along and push you to get better each day. I think this Tweet pretty much sums up this point. It's great to learn from your own mistakes, but even better to learn from others' mistakes. Find good mentors and ask questions. Third, you can outsource. Don't know when you should deload? Adopt a program where deloading periods are already incorporated. Don't know how to design a warm-up that covers all your needs? Have someone else structure it for you so that you don't miss anything. Want something flexible enough to accommodate a busy travel schedule? Get a program where training frequency can be rotated from week to week. These are all problems I worked hard to solve for my audience when I created The High Performance Handbook. This resource has different programming options based on assessment outcomes, and supplemental conditioning approaches that can be individualized to one's goals (fat loss, athletic performance, etc.). Each phase has 2x/week, 3x/week, and 4x/week lifting options to provide options for various time throughout the training calendar, whether it's an in-season/off-season athlete or an accountant that needs something with less frequency during tax season. I include modifications for folks who may have equipment limitations, and also suggestions on how to tinker with the program if you're an overhead athlete, older lifter, or someone looking to add more muscle mass. In short, I worked hard to create what I believe to be the most versatile strength and conditioning resource available on the market today. For more information, check out www.HighPerformanceHandbook.com. I'm psyched to announce that my flagship product, The High Performance Handbook, is now on sale for $50 off the normal price. This is the largest discount I've ever offered on the product, and you can pick it up through the end of the weekend. Check it out HERE. Don't miss out on this chance to pick up a super versatile training system at a huge discount! One of the first things some individuals notice when they come to observe at Cressey Sports Performance is that we often pair “big bang” strength and power movements with lower intensity drills. This is also a common programming theme many of those who have completed my High Performance Handbook program have noticed. …or a hip mobility drill with a bench press. We call these low-intensity inclusions “fillers.” Truthfully, though, I’m not sure that this name does them justice, as “filler” seems to imply a lack of importance. In reality, I think these drills have a profound impact on improving each client/athlete’s session. Here are five reasons why. 1. Fillers slow advanced athletes down on power and strength work. Optimal training for strength and power mandates that athletes take ample time between sets to recharge. Unfortunately, a lot of athletes have a tendency to rush through this type of work because it doesn't create the same kind of acute fatigue that you'd get from a set of higher-rep work. Muscular fatigue is a lot easier to perceive than neural fatigue. In other words, you'll want to rest more after a set of six squats than you would after a set of six heidens, even if you were attempting to put maximal force into the ground on each rep with both. 2. Fillers provide extra opportunities to work on basic movement competencies and corrective exercises. If something is important, do it every day. For some people, this might be hip mobility work. For others, it might be some rotator cuff work. You might as well do it when you’d otherwise be standing around resting. 3. Fillers improve training economy – and may even allow you to shorten the warm-ups a bit. On that warm-up progression, I have eight “between-set” breaks to get in a little extra work. Sure, I’m loading on plates, but that doesn’t mean I can’t bang out a few quick reps of ankle mobility or scapular control work. This can be pretty clutch – especially once I’m at the heavier warm-up sets that require a bit more rest – as it can actually allow me to shorten my earlier general warm-up period a bit. 4. Fillers help to prevent “backups” in the training facility. This is a double-edged sword. If you’re doing some hip mobility work between sets in a busy commercial gym, if you aren’t careful, it probably will increase your likelihood of someone stealing your squat rack. However, in the collegiate, professional, and private sectors, incorporating fillers can be invaluable in preventing log jams where many athletes are trying to use the same piece of equipment at the same time. If you’ve got three athletes sharing the same trap bar, fillers can help things flow a bit smoother – particularly because it keeps less-than-attentive athletes from screwing around between sets. 5. Fillers may give deconditioned clients active recovery between sets to make the most of their time with you. For some clients, the warm-up is the workout. In other words, they may be so deconditioned that even a set of the Spiderman with hip lift and overhead reach will get their heart rate up. If you paired this mobility drill with an inverted row, it might be a perfect fit for their fitness level. Conversely, if you paired that inverted row with a Bulgarian split squat, it might crush them. In this case, the filler is hardly a filler! Fillers might have a connotation of “unimportant,” but that couldn’t be further from the truth. Try incorporating them in your programs to get higher quality work, improve training economy, and bring up weak links. Last Day to Save on The High Performance Handbook! Just a quick "reminder blog" today: midnight tonight is the end of the $30 off sale on The High Performance Handbook. Don't miss this chance to pick up a super-versatile training resource at a great price! The sale ends at midnight. About six months ago, I posted the following Tweet, and the response got a bit "interesting." BSP: "Energy balance determines body weight, but not body composition." It got me to thinking about how it'd be a good idea to bring Brian in for a guest blog on the topic, so here it is. It's especially timely, as Brian wrote the nutrition guide for The High Performance Handbook, which is on sale for $30 off this week. Energy balance determines body weight, not necessarily body composition. There has been a lot of debate about the energy balance equation in the fitness industry. Perhaps, after all, calories-in vs. calories-out is not the ultimate determinant of long-term body weight. Lets put some of it to rest right now. It is a fundamental law that you need a positive or negative energy (i.e. calorie) balance over time to gain or lose bodily tissues (e.g. muscle, fat). It is possible to manipulate bodyweight through changes in the amount of extracellular fluid (i.e. water) one is carrying. But this does not reflect changes in mass that matters to most people – muscle or fat. And to be clear, the energy balance equation is actually more complicated and intertwined than it appears. Energy-in and energy-out are not mutually exclusive – a change to one affects the other. Neither side is static. Your energy in and energy out are both generally regulated by your brain, so when you purposefully and significantly alter one of those, the brain and body often tries to compensate. This is why calorie math can seem so flawed. You expect your daily 500kcal deficit to lead to a weekly 3500kcal deficit, which should theoretically lead to one pound of fat loss per week. But this isn’t how the body works. Once you start lowering intake, output gets lowered to account for that. And as you start losing weight, output gets lowered more (because you are moving a smaller body, and due to adaptive thermogenesis). Plus, if linear math worked for weight loss, you would lose one pound per week indefinitely with that 500kcal deficit, which clearly doesn’t work. Ok, so we’ve established that energy balance ultimately dictates long-term bodyweight. But, that doesn’t mean that all calories-in, or even all calories-out, are equal. So, what determines body composition? Ultimately, this brings me back to the question of: is a calorie a calorie? On one hand, the answer is yes. A calorie is a unit of measure, so of course a calorie is a calorie. On the other hand, not all calories consumed have equal absorption or digestion kinetics, cause the same hormonal response, or have the same effects on bodily tissues. If one ate 3000kcal per day of highly processed foods vs 3000kcal per day of lean protein, fibrous veggies, and minimally processed carbs and fats, the two intakes wouldn’t necessarily have the same long-term outcome on body weight. Because the composition of the calories-in would have differing impacts on calories-out (e.g. thermic effect of feeding would be higher with the minimally processed foods intake and higher protein), as well there would be fewer calories absorbed from the minimally processed foods. Thus, the minimally processed intake would result in more calories-out, and less calories-in overall. And it especially wouldn’t have the same long-term outcome on one’s body composition. Particularly due to the very low protein intake from the highly processed diet, which would likely lead to lean mass loss over time. Not too mention the differences in micronutrient intake, likely impacting hormone status, energy levels, etc. Too often, I see fitness pros arguing that food quality doesn’t matter. That the only thing that matters is meeting your calorie and macro goals. This is likely mostly true for body weight and body composition management, at least for the short term. However, there are other elements at play here for long-term health, body composition, performance, and quality of life. Fiber intake, phytonutrients, effects of food on gene expression, effects on satiety and satiation, enjoyment of intake for sustainability. And so much more. The fact is most people aren’t going to count macros. Some might, and that’s awesome. Use that approach with those folks. However, most won’t. So, by getting folks to focus on eating mostly minimally processed foods, as well as adequate protein, it can make it easier for them to control their energy balance and get in an appropriate intake of macronutrients. Ultimately, pretty much all foods can fit into a healthy and sustainable intake. The amount to which they fit in will depend on the person and their goals. As usual, most things fall onto a spectrum. Instead of preaching that people shouldn’t eat any white carbs, or gluten, or sugar, or whatever the demon of the day is, or that all that matters is IIFYM, the best bet for most people is to end up somewhere in the middle. Both food quality and quantity matter. For most people, who aren’t going to weigh or measure every bit of food they eat, food quality will actually impact food quantity for the reasons outlined above. This doesn’t mean folks need to eat “clean” - whatever that might mean. It simply means most folks would do best eating mostly minimally processed foods. Processed foods are okay, too, in reasonable amounts. They should just be eaten less often, or in smaller quantities. It’s the context of someone’s entire intake that determines their body weight and body composition, not any one food. In the end, remember that while energy balance does determine your body weight, there are other important factors in addition to energy balance that determines your body composition. Note: all the references to this article will be posted as the first comment below. Looking for more great nutrition lessons, practical recommendations, and sample meal plans? Check out Brian's Nutrition Guide as part of The High Performance Handbook Gold Package. A Certified Sports Nutritionist as well as a Certified Strength and Conditioning Specialist, Brian St. Pierre also holds a Masters degree in human nutrition and dietetics. As a student, Brian's passion led him to Cressey Sports Performance, where he worked as the facility's first intern, and subsequently as a strength coach and the center's head nutritionist. Now he serves as Precision Nutrition's Director of Performance Nutrition. It's been a rainy few days in Massachusetts, but that won't put a damper on a productive week. I've been staying plenty busy with this week's $30 off sale on The High Performance Handbook. The Power of Sleep (Infographic) - Brian St. Pierre (author of The High Performance Handbook Nutrition Guide) created this quick and easy-to-understand reference for Precision Nutrition. It's a great one to share with clients. The Truth About Your Future - This book was written by a financial advisor and can seem "pitchy" at times, but it did include a lot of fascinating research on technological advancements and how they'll impact everything from life expectancy, to college planning, to occupational outlook. EC on Raful Matuszewski's Podcast - I was a guest on Rafal's show a few weeks ago, and we talked about everything from parenting to athlete motivation. It's time for the April installment of Random Thoughts on Sports Performance Training. In light of this week's $30 off sale on The High Performance Handbook, I wanted to write a bit about the importance of versatility in any strength and conditioning program. I firmly believe that The High Performance Handbook is the most versatile program on the market; in other words, it's been used with great success by folks from all walks of life. This is because of the self-assessment component, various programming options, and exercise modifications it includes. You can learn more HERE. With that in mind, here are some thoughts on versatility in programming. 1. Psychosocial stress impacts joint loading. "An experiment was performed that imposed psychosocial stress on people performing standard lifting tasks and compared this with situations where no psychosocial stress was present. Under the stress conditions, significant increases in spine compression and lateral shear were observed, but not for all subjects. Gender played a role in that females moved di􏰘fferently in response to stress, thereby causing an alteration in muscle coactivation patterns. More surprisingly, when the personalities of the subjects was considered, it was found that certain personality traits, such as introversion and intuition, dramatically increased spine loading compared with those with the opposite personality trait (e.g. extroversion and sensing). These di􏰘fferences in personality were closely associated with differing trunk muscle coactivation patterns and explained well the di􏰘erence in spine loading (and expected risk of LBD) between subjects. These increases in trunk muscle coactivation are believed to in ̄uence spine loading more at low levels of work intensity than at high levels where the biomechanical demands of the job probably overpower any additional loading that may be due to responses of the musculoskeletal system to psychosocial stress." In other words, the more Type A your personality type, the higher your spine stress, and the different your muscular recruitment patterns. This shouldn't surprise anyone who has looked at injury rates in athletes during stressful academic periods, but it is interesting to see that there doesn't seem to be a "desensitization" occurring with those who are always more stressed. With that in mind, chance are that the training stress needs to be managed more conservatively in those who have very stressful personality types, not just lifestyles. 2. There are many different ways to fluctuate training stress. Speaking of reducing training stress, there are many different ways to do so. We all know that you can reduce intensity (load), training frequency, and/or volume (sets x reps x load) to give people appropriate deloading periods. Sometimes, though, simply changing exercise type can reduce the training stress. As an example, changing to more concentric-dominant exercises (as I wrote HERE) is one way to reduce training stress. Most people won't feel really banged up from a session of deadlifts, step-ups, and sled pushes even if there is a fair amount of volume and intensity. 3. Versatility implies the ability to quickly and easily progress and regress. When I think of versatile programs, I immediately think of the ability to quickly change something on the fly - and that usually refers to exercise selection, usually because something is too advanced or basic for someone. Regression is as important to learn as progression. Sometimes, you need to back off, relearn a pattern, and move WELL before you move a LOT. If you lack the hip extension needed to do a Bulgarian split squat, you're better off regressing to a regular split squat or a step-up. It's also important to understand how to move laterally. An example would be if a program called for a piece of equipment an individual doesn't have. 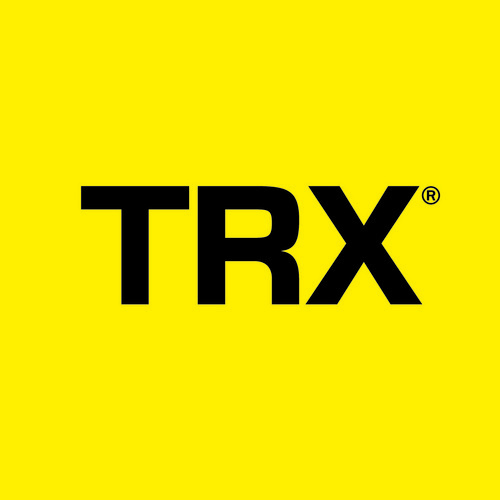 For example, if you don't have a cable column, maybe you could use dumbbells, bands, or a TRX suspension training for your rowing variation. 4. There is a point of diminishing returns on variability. Check out this image I created for a presentation I gave on long-term athletic development. If young athletes have low variability in their lives, they make very little progress. Obviously, the risk of overuse injuries is higher, but just as importantly, without adequate movement variability, athletes don't have opportunities to build "predictive models" to which they can resort amidst the unpredictable challenges sporting environments throw at them. In other words, some exposure to controlled chaos prepares you for a lot of unpredictable chaos down the road. To the far right of the column, though, we realize that too much variability can be problematic as well. There simply aren't enough high quality reps to build an firmly ingrained pattern. If an athlete throws a football in week 1, baseball in week 2, tennis ball in week 3, and shotput in week 4, he won't really have built one pattern any more than another. This is why athletes ultimately do benefit from an element of specialization; it brings them back to the center for more "focused progress." These same ideas can be applied to the everyday gym-going lifter. Early on in a training career, we need to expose these individuals to just enough variability to prevent overuse injuries. In many cases, we can get this just by having comprehensive mobility warm-ups and assistance exercises - single-leg work, horizontal pulling, push-up challenges, carrying variations, etc. - that complement the big bang exercises like squats, deadlifts, and presses. If we just do a few big multi-joint exercises, though, injuries can often creep up, and we may encounter plateaus. However, there are also scenarios where specialization programs (less variability) may be needed to bring up specific lifts by pulling us back from the far right of the curve. The take-home point is that the relationship between training progress and exercise variability is always in flux, and it's a good place to look if you're struggling to make progress, chronically injured, or just want to better understand why you're getting the results you're experiencing. Looking to see how I create both versatility and variability in the programs I write? 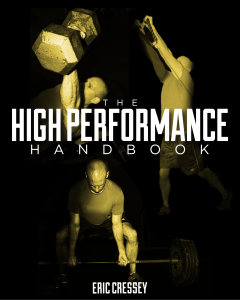 Check out The High Performance Handbook, which is on sale for $30 off this week. The weather is warming up, baseball season is underway, and I've got my spring cleaning all wrapped up. The logical next step to keep the momentum rolling is to announce a big spring sale! With that said, I'm putting my flagship product, The High Performance Handbook, on sale. From now through Sunday at midnight, you can get this popular training resource for $30 off HERE. The discount has already been applied, so no coupon code is needed.